Whether you're sharpening your chef's knife on a whetstone or using a honing steel to keep it aligned, the knife's edge should meet the stone or steel at an angle of 22 1/2 degrees. Imagine that you're trying to slice a very thin piece of the whetstone or knife steel away. 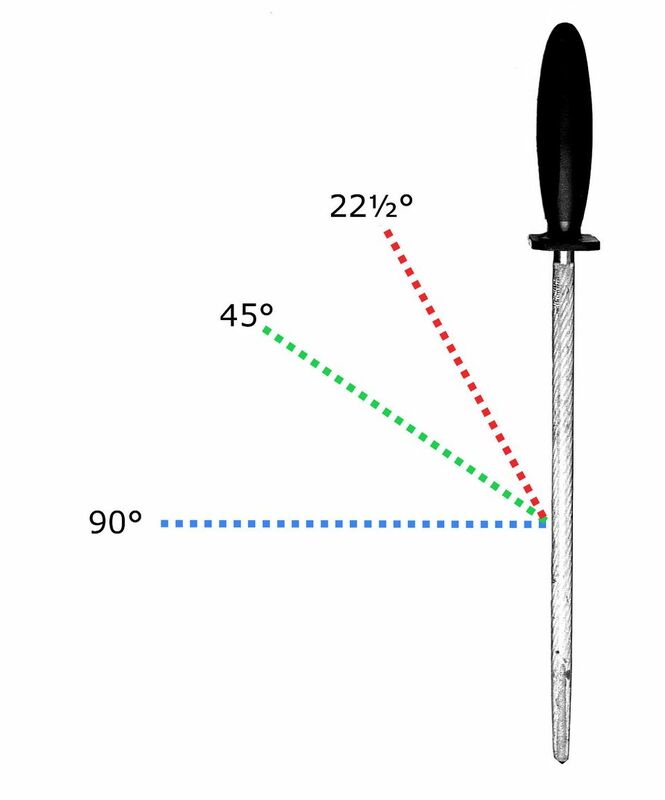 The images here (specifically, the red lines) illustrate what a 22 1/2 degree angle looks like. It's about half of a 45 degree angle, which is half of 90 degrees. You should be able to eyeball it, but these diagrams give you a visual. It's the same angle for a whetstone or a knife steel. You just have to visualize the angle in a different direction.